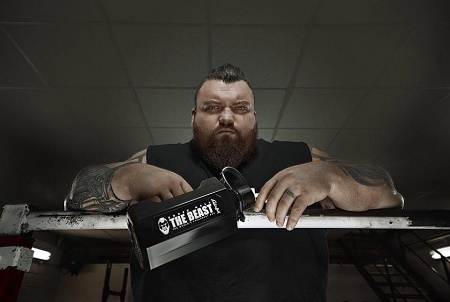 The world’s largest ticket marketplace, StubHub, along with promoters Giants Live and Fighters Inc, are bringing the World’s Strongest Man, Eddie Hall, to the Indigo O2 for an intimate Q&A evening with fans. One of the greatest strongmen in history, the outspoken giant Eddie Hall will speak candidly about his career and life on Saturday, April 14. Eddie will have some of his special guests from the sport on hand to answer fan questions, and those in attendance will be treated to a screening of never-before-seen footage documenting the story behind his win at World’s Strongest Man in Botswana. In a pre-event interview, which can be viewed here, Eddie talks about his next world record attempt, overcoming heart scares and his well-documented run in with the Mountain from Games of Thrones. Eddie isn’t someone used to holding back his thoughts on his peers and achievements, so fans should be in for a thrilling and cutting-edge evening of hard talking.